Joyce Wood, 72, of 261 South Horseback Road, died after an intruder entered her home early Sunday morning, and Burnham residents are reeling from the tragedy while waiting for details about what happened. BURNHAM — Residents in this small town are anxiously waiting for police to reveal what they know about the “bizarre” circumstances leading to Joyce Wood’s death early Sunday after an intruder entered her house on South Horseback Road. Wood, 72, died in a vehicle in her driveway after dialing 911 to report an intruder in her house sometime between 3 and 4 a.m. Sunday. 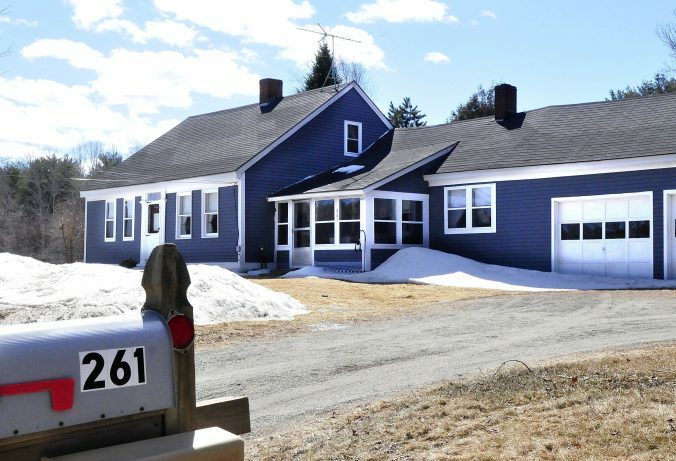 Maine State Police and the Waldo County Sheriff’s Office went to the home, where they found Wood in a vehicle in the driveway and the intruder, a woman, inside the house. Wood was stricken and died in the vehicle, police said. Townspeople are concerned and frightened about what they have heard happened at Wood’s house before her death, but they hope that soon they will be told officially. “Not expecting any update today,” Steve McCausland, spokesman for the state Department of Public Safety, said via email Monday morning. Before state police and a Waldo County Sheriff’s deputy got to the scene Sunday, Wood’s family members had arrived, found her and placed her in a vehicle in the driveway, according to McCausland. Wood then died in the vehicle, he said. Police questioned the intruder for several hours and released her, according to McCausland. No charges were filed against the woman, whom police said was cooperative and probably would be interviewed again as evidence from the house’s interior was analyzed by police. The state medical examiner’s office in Augusta performed an autopsy on Wood’s body Sunday, but police said the results were being withheld. “The Wood case autopsy is completed (and) the case is pending further studies and investigation,” Mark Belserene, administrator of the Office of Chief Medical Examiner, said via email Monday afternoon. Meanwhile, at Patterson’s Store on Monday afternoon, people were talking about the woman whom police found inside Wood’s home early Sunday. 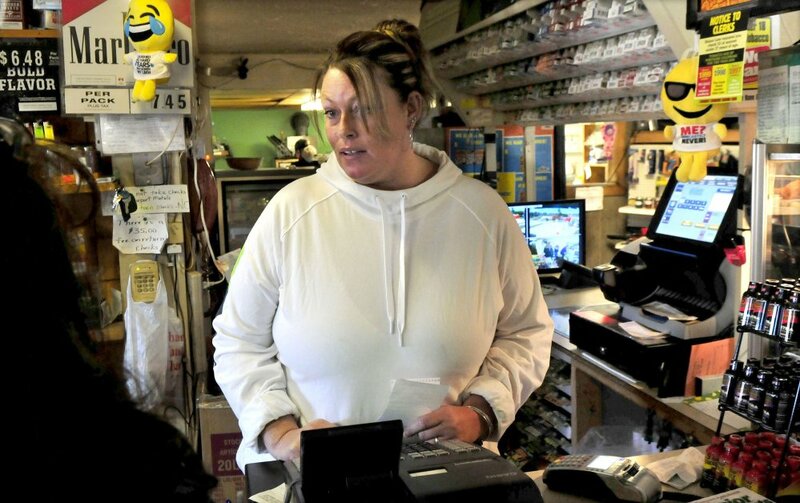 Angie Huff, the cashier, said she heard the female intruder is upset about the incident, as are residents of Burnham, which has a population of about 1,160. “They want to know what’s going on,” Huff said. She said she was working Sunday when police came into the store and asked her if she knew two people who reportedly had parties late Saturday or early Sunday. Huff said she was told the woman who entered Wood’s home possibly had attended the parties before going to Wood’s house. Huff said she knew Wood, who often came into the store and whose husband had died about 20 years ago. Wood also lost a son to cancer about two years ago. On Monday afternoon at Wood’s house, several vehicles were parked in the driveway and people were inside as well as outside the home. A man told a reporter and photographer who approached him to leave. At Wood’s daughter’s home in Thorndike, a woman said the family is too upset to talk to the press, but said they appreciate the support shown by the community since the tragedy. Cheryl Rossignol, who lives on Winnecook Road near Patterson’s Store, said the community is reeling from Wood’s death and disturbed by reports of what happened. 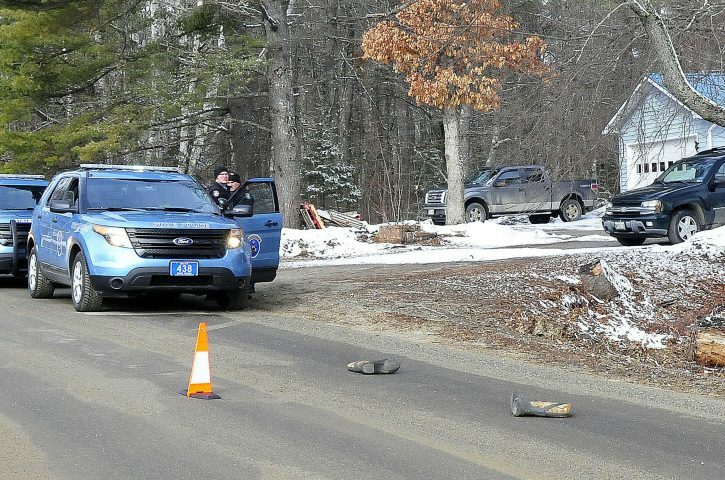 Police Sunday morning had placed traffic cones around a pair of rubber camouflage boots lying in the road near Rossignol’s driveway — boots townspeople say belonged to the intruder who went into Wood’s house. Rossignol said she heard that when police found the intruder in Wood’s house, she was barefoot — that she had shed the boots prior to going in. “They found her boots here,” Rossignol said, nodding to the place in the road where the boots were found. Rossignol said she had attended grammar school with Wood when they were young, though Wood was older than she. “She had been here all her life,” she said. Wood had lived in her house at least 40 years and was well-liked and respected by townspeople, according to Rossignol. 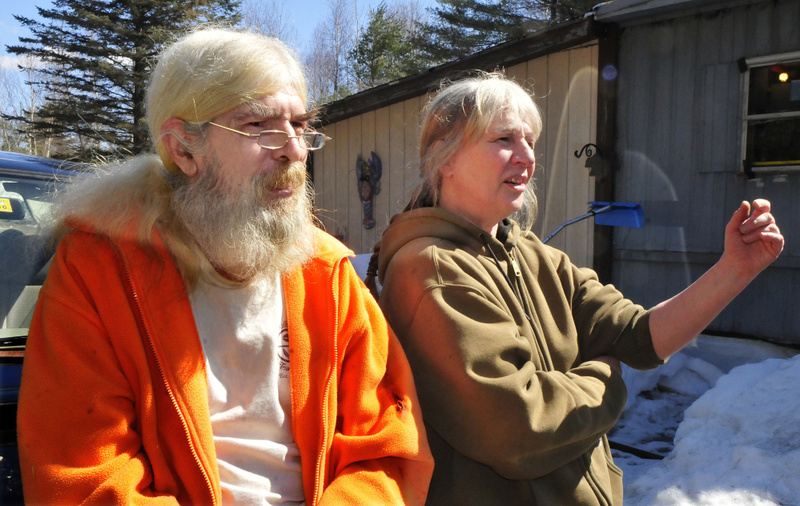 No one answered the door of a mobile home in Thorndike on Monday that several locals identified as the residence of the alleged intruder. Two cats wandered outside the door, meowing.